News of Mexico rebounding from a string of drug-related violence still looks bleak; on Sunday, six people were strangled and one was decapitated in the southern Mexican tourist resort of Cancun. Police found the bodies of the five men and two women in a shack in the outskirts of town. They believe the slain are independent drug dealers without any links to a specific cartel. The news comes just a month after two men opened fire in a bar in Cancun, killing six and injuring five others. More than 70,000 people have been killed in drug-related violence in Mexico since 2007. Set on Mexico’s Caribbean coast, Cancun is a favored beach destination for spring breakers (and, of course, those who want to skip the parties, too). Although violence has erupted in several Mexican cities over the past few years, there are still plenty of safe areas to visit. In fact, our own McLean Robbins just visited Cabo San Lucas, and Kyle Ellison seems to have no reservations about recommending Baja as a hotspot for adventure travel this year. For the college crowd, spring break typically means one thing: raging parties. For everyone else, however, spring break brings on more of a raging headache. Those traveling at the same time as the party crowd are faced with a number of dramas, ranging from laying wide awake at night listening to thumping music piercing the paper-thin walls of their hotel room, to having to explain to their seven-year-old why those scantily-clad college kids are puking on the sidewalk. Put up with it long enough and spring break has the ability to break down even the most tolerant traveler. Is there any hope of avoiding the chaos? Thankfully, the answer is yes – I’ve certainly done it and lived to tell the tale. So, whether you forgot to check the school calendar when making your travel plans or you simply want to take a relaxing family vacation while the little ones are off from school, the good news is there are lots of steps you can take to avoid running into the spring breakers.1. Head to a city. If you still have some flexibility in your travel plans, then pick a destination that’ll allow you to avoid the partygoers. The majority of spring breakers are fleeing the metropolises and heading to sunny, sandy spots, which means now is a great time to visit a city. 2. Steer clear of party beaches. If you’re headed to a seaside destination, beware that certain beaches will be packed with partygoers and plan your stay accordingly. For example, if you go to Miami, you’ll want to avoid South Beach or Miami Beach and pick a quieter spot like Key Biscayne or Mid Beach to base yourself in instead. 3. Choose your hotel wisely. Even if you’re headed to a destination known for attracting spring breakers, you can often avoid the revelry as long as you keep away from party hotels – venues full of college kids there to enjoy the pool parties, live entertainment, and music around the clock. You can figure out which hotels are geared specifically to the party crowd by hunting down the spring break website for that destination. For example, you can see which hotels are set up for the event in Cancun here, and at Daytona Beach here. 4. Arm yourself with noise-canceling devices. No matter how well you research your hotel, you might not be able to prevent a group of noisy merry-makers from setting up camp in the room above you. So to be on the safe side, bring along some earplugs and even a white noise machine to muffle any sound. If you’re a business traveler or need to get work done while you’re in your hotel, noise-canceling headphones can be a lifesaver. It’s also worth asking the hotel to put you in a quiet corner of the hotel, far from any college kids, when checking in. 5. Wake up early. If you want to sightsee and enjoy the destination in peace, get up before the spring break crowd. Most of the partiers stay up late and sleep in the next morning nursing their hangovers, so by getting up earlier you can beat the crowds. Morning is also a good time to enjoy the popular party beaches before the crowds, kegs and DJs invade later in the day. 6. Do activities spring breakers tend to avoid. While many attractions will appeal to spring breakers and ordinary travelers alike, there are still plenty of things you can do where you won’t find a partier for miles. Examples include enjoying a round of golf, a quiet afternoon of fishing, or a private boat ride. 7. Head to the quieter watering holes. The party crowd will be busy hitting up nightclubs and bars offering kegs of beer and mixed drinks by the yard glass, so if you’re looking to sip a quiet drink or two, steer clear of these venues. A much better option is to head to wine bars, intimate cocktail lounges, vineyards and bars attached to restaurants. If you really want to go to one of the popular clubs or bars in town, check their event schedule and those of nearby venues. Depending on where the spring break action is on a given night, some venues can be pulsating and others can become ghost towns – which might be exactly what you’re looking for. 8. Research where the locals hang out. Particularly when it comes to the international destinations, many cities have a main tourist drag that’s lined with resorts and entertainment geared towards travelers (and in the case of spring break, the partiers) and a separate part of the city where the locals tend to congregate. 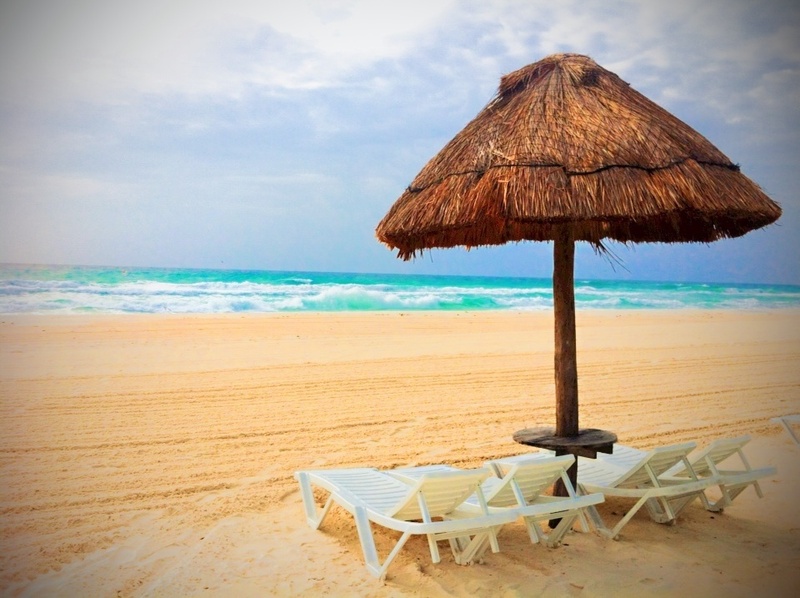 I once visited Cancun, Mexico, during spring break (but not actually for spring break) and was able to avoid the party crowd by spending time at the beaches frequented by the locals and the downtown plazas few tourists ventured into. As an added bonus, these areas had a more authentic vibe, and the food, drinks and accommodation were significantly cheaper. Have you traveled during spring break? Were you able to escape the party crowds?